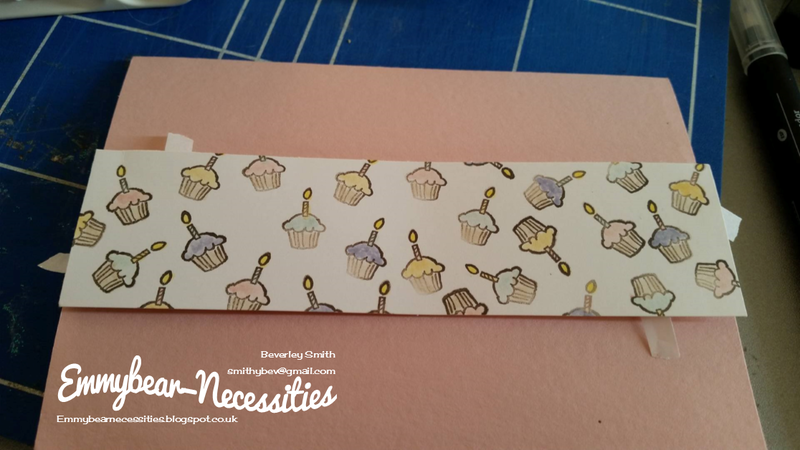 Hello there, do you have problems getting an even distance all round when using double sided tape to adhere cardstock with an even border all round? I know I used to and would avoid using tape, snail or anything else that didn't allow wiggle time. Even when I went to a Card and Coffee session, Susan, who ran the group, would offer me wet glue! Until one day she suggested I try her technique. She claimed it was foolproof... well, that sounded like a challenge so I agreed to have a go. It took a few practise runs before I was confident but now I rarely use my wet glue unless it's to stick embellishments down. 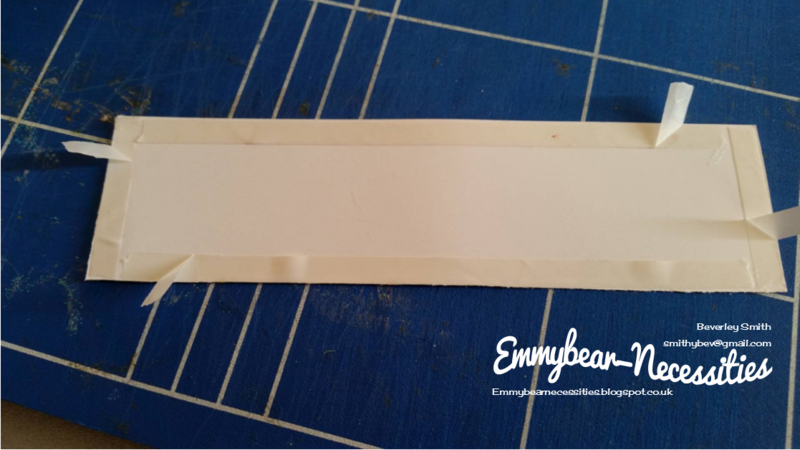 It also leads me to tell you about another quick tip; if you've stuck something down in not quite the right place, use a heat gun to warm up the adhesive and gently ease apart. Magic! Anyway, lets get back to sticking. 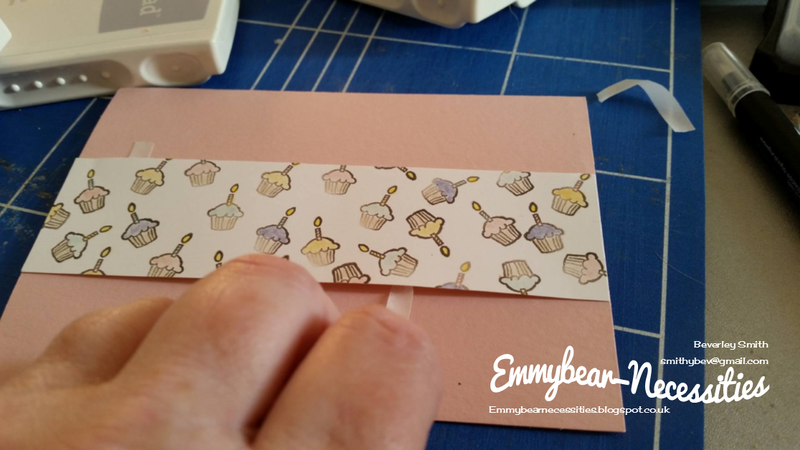 First of all, put double sided tape around the layer you want to stick down. Ease the backing up on one end of each piece, folding it up a little as in the first picture. When you turn it over so the right side is upwards, you can just see the folded tape backing paper raises the card stock up very slightly. 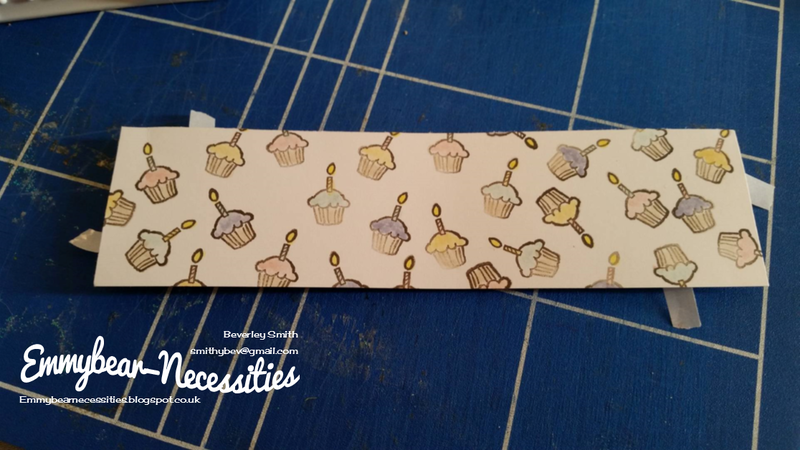 Next take your backing card, in this instance I wanted to place my patterned card almost centrally across. Usually I create a small border all round. I often judge by eye but this time, used a ruler to measure each end. 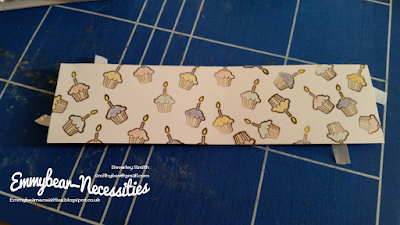 At this stage the patterned card is only laying on the base and can be moved around until you're happy with the result. Once happy with the placement hold down the card with one hand and gently start to pull the tape away. I pulled opposite short sides away so that I had a hand free to take the photograph. 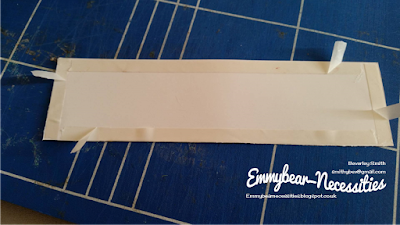 When removing the backing tape, keep it low to the base card stock. You should now have an evenly spaced mat. So simple when you know how! I'd just like to thank Susan, aka Craftyduckydoodah for showing me this. Had it not been for her I'd still be knee deep in glue! Please keep an eye out for my quick tips over the coming weeks. Whilst I admit I'm still learning myself, if I find easy ways to complete tasks I'll share them with you.